Sacrament Commitment Masses will be held this weekend and next. Students who are receiving one of the Sacraments are to attend one of the Masses. Mass is held on Saturday at 6.30pm or on Sunday at 10.30am. 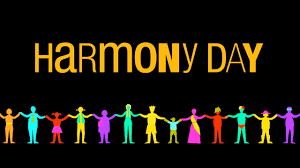 In 2019, the Department will lead national celebrations for the 20th anniversary of Harmony Day. This year the event will be renamed Harmony Week to recognise diversity and inclusion activities that take place during the entire week. Harmony Week will include 21 March, which is the United Nations International Day for the Elimination of Racial Discrimination. Harmony Week is a time to celebrate Australian multiculturalism, and the successful integration of migrants into our community. At St Mary's, each class completed a Harmony Day activity. We welcome Miss Naomi Coelho to St Mary’s School. Naomi will be undertaking her first teaching practicum in Year Three. Her practicum will consist of seven weekly visits in Term One and Two and then a two-week teaching block in Term Four. Please make Naomi feel welcome if you see her around the school. The students and parents were certainly glad to have the canteen back up and running on Monday! The children all enjoyed the food and drink that they had ordered! 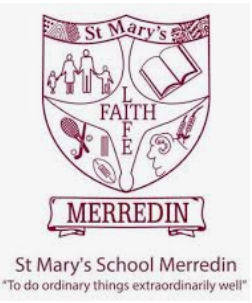 * The aim in most of the changes is to provide a service to the school community that ensures the freshest quality of food and drink choices using the Traffic Light System and to also minimise any unnecessary wastage of food. * Please be aware the menu will change according to the season. * To avoid disappointment, pre-ordering recess is recommended. Please place any pre-order recess items and lunch items in a separate bag and return it to the canteen/office on Friday morning with payment included. * If your child only requires a drink at recess they can come and purchase that at recess time without placing an order. * Please make sure the correct change is put into the lunch bags. * Ice-creams will only be available for purchase at Lunch Time. In the event that you forget to place an order on Friday morning then placing an order on Monday morning is fine – children will not miss out as long as there is an order. The Year Six students will be going on camp to Fairbridge in Pinjarra from Tuesday to Friday of next week. Thank you to Mrs Jillian McDonald for organising the camp and to Mr Doug McGinniss and Mr Dan Barnett who will be parent helpers on the camp. I will be accompanying the campers also. Mrs Riethmuller will be responsible for the school in my absence. Interviews are strictly 15 minutes and spaces are limited. 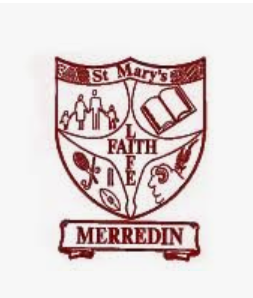 If you require more time with a particular teacher, please arrange a separate meeting by telephoning the school on 90411907.